At Outset Finance, we try to keep our application process as simple and transparent as possible. After all, we know that as a business owner, your time is precious. That’s why we break our application form into three stages. We won’t progress you to the next stage until you’ve successfully completed the form in the one prior, which means you don’t have to spend time filling out paperwork until it’s needed. We’ll send you an online link to each form so you can get started, and you can save this form until you’re ready to submit. Once you submit each form, we’ll get back to you within 48 hours and advise you of the next steps. This first form allows us run to a credit check up front so we can give you more confidence about your chances of success before you get too far along in the application process. 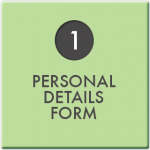 This is one of the most important forms as it tells us all about your business, how you will use your loan and how you intend to pay it back. At this stage, we’ll ask you to upload your business plan, cash flow forecast and survival budget. 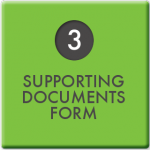 This is the final stage and the documents you provide through this form help to support your main application. 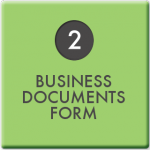 Depending on the nature of your business, we may also ask you to provide additional supporting documents. We endeavour to complete an initial review of all completed loan applications within 48 – 72 hours of receiving them (excluding weekends). If for any reason we can’t meet this timing, we will let you know as soon as possible. We’ll contact you if we have any questions regarding your application or need further clarification on any areas. After that, we’ll organise a final Skype or in-person interview with you as soon as possible or at a time that suits you. This is a mandatory part of our process, designed to ensure a thorough assessment of your loan application and give you adequate opportunity to make your case. You’ll need to bring your passport along to this interview so we can verify your identity. Please note: If you’ve already met with one of our advisors in person throughout the application process then you may not be required to have this Skype interview. You will be notified as required. If you want to know more about what documents you’ll need to prepare for your application, please visit our Application checklist page. You can also visit our Useful resources page for a range of downloadable templates that you can use to compile your application. Think you’re ready to apply for a Start Up Loan with Outset Finance? Register now to get started.